TANEY COUNTY, Mo. 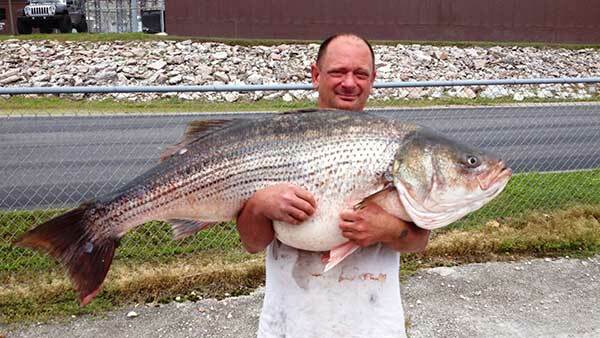 (WLS) -- Lawrence Dillman set a new Missouri state record for a "pole and line" catch after he hooked a striped bass weighing 65 lbs. His fish broke the previous record by nearly five pounds. Dillman says it took him 45 minutes to get the giant fish close to shore, then he says he bear-hugged the fish to get it out of the water and onto the bank, according to a press release from the Missouri Department of Conservation. Dillman, who says he fishes every day, says this is the biggest fresh-water fish he's ever caught.